DETROIT -- Apple Inc. has revolutionized the music, mobile phone, computer and tablet markets. Now, some dealers and drivers expect the company to do the same for in-car telecommunications. These dealers and iPhone users are enthusiastic about having Siri, Apple's voice-command software introduced last year on the iPhone 4S, in vehicles. "I wish we had the product today," said Scott Sharrow, general manager of Rohrich Chevrolet in Pittsburgh, citing customer demand for Siri. On June 11, Apple said that it was working with eight automakers -- Audi AG, BMW AG, Chrysler Group, General Motors Co., Honda Motor Co., Jaguar Land Rover, Mercedes-Benz and Toyota Motor Corp. -- to include in-vehicle Siri capabilities. 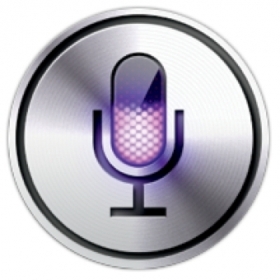 Honda and GM have confirmed that they plan to include Siri in their vehicles. The feature, called Eyes Free, will enable drivers to make phone calls, send text messages, get directions, play music and use other Siri functions by speaking. The buzz underscores the growing level of consumer frustration with factory-installed voice activation technology in their vehicles. J.D. 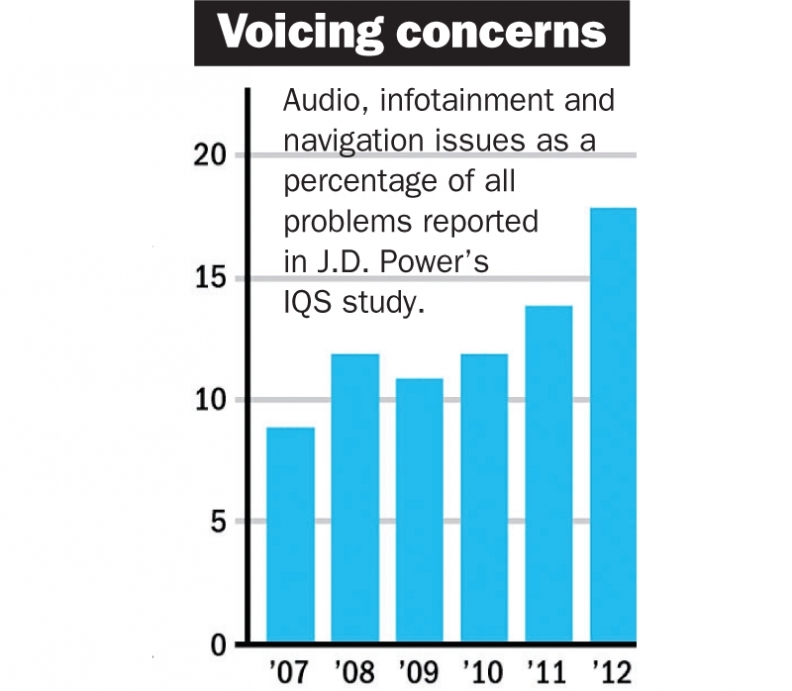 Power's 2012 Initial Quality Study last week found that the No. 1 consumer complaint about their new vehicles was voice recognition systems not working correctly. Automakers clearly are under pressure to make such hands-free systems work correctly. Since Apple disclosed its plans, analysts have praised the company's partnerships with automakers, saying that Siri will become more valuable to customers and that the partnerships will open new markets for the consumer-electronics giant. Two days of interviews with iPhone users outside a busy Apple retail store at a high-end mall in suburban Detroit showed that drivers also were enthusiastic about the possibilities of using Siri while behind the wheel. Ron Shapiro, who was visiting from New Jersey, drives a 2002 BMW 5 series without hands-free capability. He said he is in the market for a new car and would like one with smartphone connectivity. Siri could influence his decision on which new car to buy, Shapiro said. "If I was looking at two cars that I liked about the same and one had [Siri] features and the other didn't, it would tilt it in that direction and I would be willing to pay more for that," he said. GM plans to offer Eyes Free as part of its MyLink infotainment system in two of its small cars aimed at younger buyers, the 2013 Chevrolet Sonic subcompact and Spark minicar, which go on sale this year. GM said about 70 percent of new-car buyers want hands-free connectivity in their vehicles. Including Siri in the Sonic and Spark will enable the automaker to attract new consumers who are accustomed to high levels of connectivity in other aspects of their lives and expect the same in their cars, said Steve Waersch, general manager of Pohanka Chevrolet in Chantilly, Va., about 20 miles west of Washington. "It's a good introduction, a good place to start" for new buyers, Waersch said. But the cost of using Siri may turn away some drivers. Owners of the iPhone 4S who use Siri consume about twice as much data as owners of the previous iPhone model without Siri, according to a study released in January by Arieso, a network analysis firm. And given that Verizon Wireless, the country's largest mobile carrier, announced June 12 that it would offer flat rates for unlimited voice calls and text messages while charging for data usage, it could become more expensive for some consumers to use data-heavy features such as Siri. Others worry that the cost of getting Siri in their vehicles may be prohibitive. Teresa Manus drives a 2010 Chevrolet Equinox. She said she might be interested in buying a vehicle with Siri, but that she would need to consider the cost because Apple products are "usually more expensive" than their non-Apple counterparts.